TYI Day 8: Vacation Spot « It's For My RP Spec! In real life, I live in the desert. Extremely hot summers (110F on the regular), ‘mild’ winters (but anything below 70F needs a coat…), and dry dry DRY. We see snow once every five years or so… IF we’re lucky… and it doesn’t stick, so no snow balls, snow men, sledding, etc. 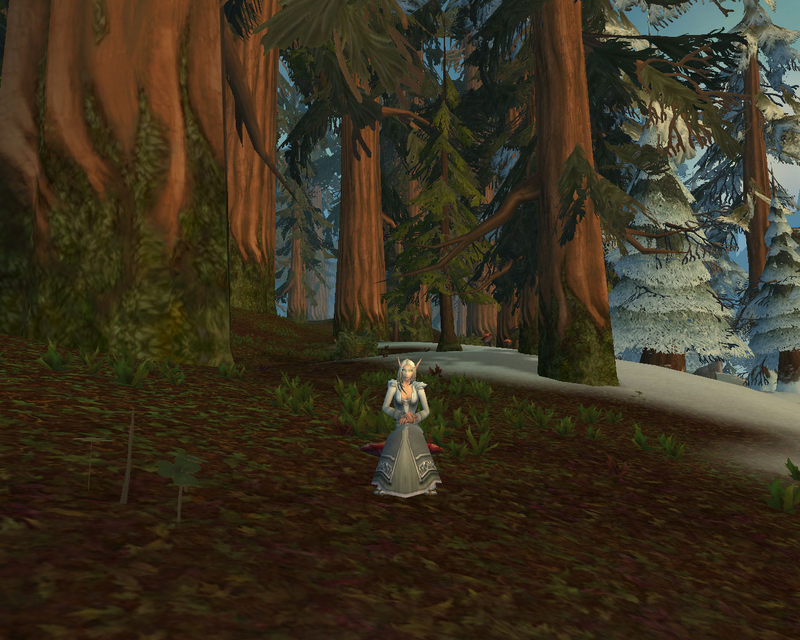 Grizzly Hills is hands down the most beautiful zone in WoW. 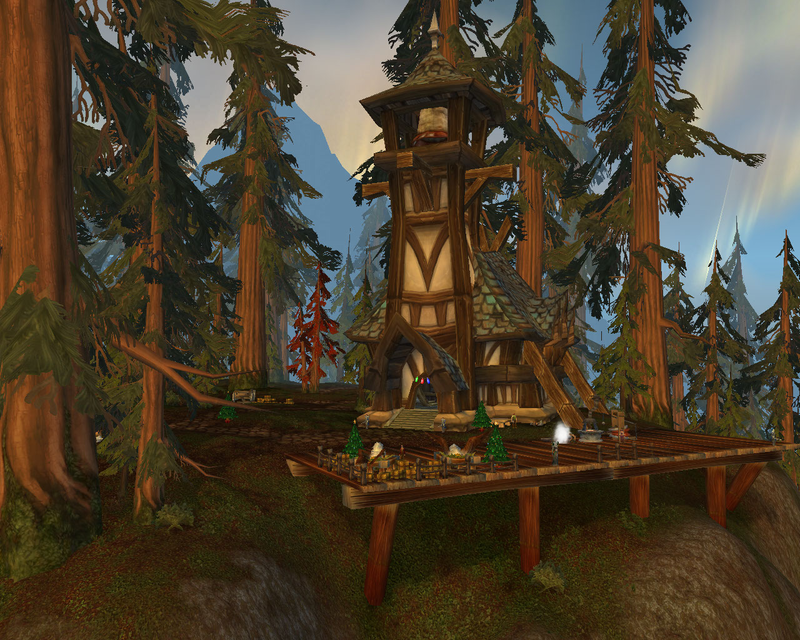 While Howling Fjord comes close, Grizzly Hills just has something more. Choosing between the two Horde towns was easy. Conquest Hold dominates the landscape a little much for my taste, so Camp Oneqwah won me over. Honestly, though, I would rather stay at Amberpine Lodge… but I’m pretty sure they wouldn’t take too kindly to my Horde sympathies. There’s a lovely bridge just outside Camp Oneqwah overlooking the frog-kissing lake. 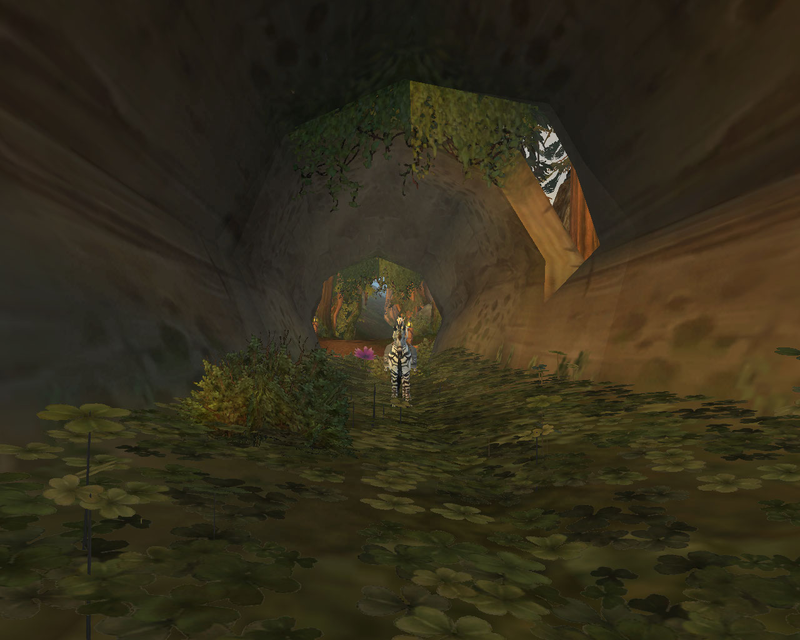 The fallen log bridge full of clovers is gorgeous. And I can even have a little snow.